Cute and obedient children can grow up to be recalcitrant teenagers. The same can hold true for dogs. What was once a playful and adorable puppy can become an aggressive monster in adulthood. This can be very frustrating and disheartening for dog owners, resulting in too many dogs being euthanized or sent to shelters. The thing to remember is that dogs are not born aggressive. It is usually a learned behavior as a means of survival or a misrepresentation of their role in the pack. Aggression issues are mostly confined to adult dogs although it is not unknown in young puppies. Do not confuse aggression with mouthing or teething in your puppies. In most cases, adult aggression in dogs will stem from the dog feeling vulnerable or unprotected. If your dog becomes aggressive, action needs to be taken quickly before it becomes a habitual and dangerous behavior. Some dogs get an unfair reputation for being aggressive. For instance, Pit Bulls and Rottweilers are often portrayed in the media as “mean” or “aggressive dogs”. Some states even ban them. Nothing could be farther from the truth. At Bark Busters, I have seen some of the most loving pit bulls you can imagine. Usually if a dog becomes aggressive it’s because he had to fight to survive. It is a sobering thought to consider that 95% of aggression in dogs is actually a learned behavior on the dog’s part, as the dog learns to deal with the situation as only it knows how. Euthanizing is traditionally viewed as a last resort option, but sadly these days it is all too often an easy out, with humans blaming the dog for a problem and failing to get professional help. The irony is that aggression in dogs is more often than not caused by the human input with the dog. Putting a dog to sleep or re-homing is a very distressing decision for a family and in most situations NOT necessary! 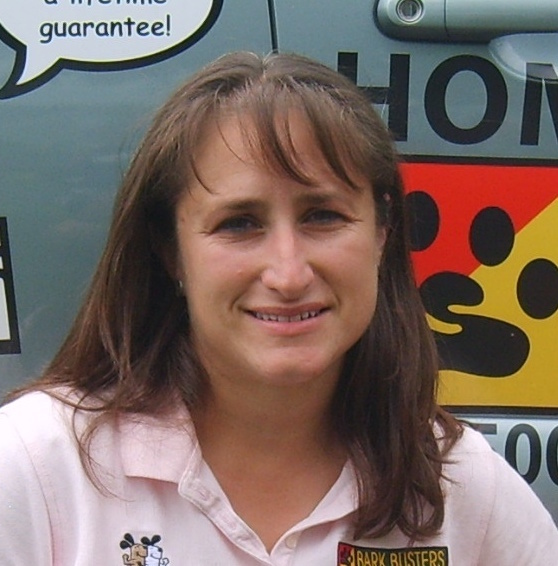 At Bark Busters we believe in the saying “Deed Not Breed” and that no dog is beyond help. Most dog aggression problems can be corrected and cured if approached under the expert guidance of a professional Bark Busters dog trainer. I accomplish amazing results by solving the underlying core of the problem, and putting in place our unique dog behavioral modification therapy to un-learn the behavior, and re-structure the canine responses in a way that makes sense to the dog and it’s owner. The Bark Busters method has succeeded where others have failed. Our unique, simple techniques have saved countless lives of dogs with behavioral issues from being separated from their families and left to languish in shelters or be euthanized.